Posted: Friday, May 20, 2016. 6:15 pm CST. By BBN Staff: The price of gas at the pump went up again on Wednesday night. Regular gasoline is now $9.62 per gallon, up from $9.12. Premium remains at $9.26 per gallon and diesel remains at $8.29 a gallon. There was also another fuel price increase just two weeks ago. At the time regular gasoline was raised from $8.87 to $9.12. Diesel prices went down from $8.36 per gallon to $8.29. 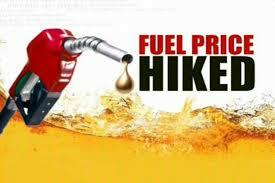 Rises in fuel prices usually affect the cost of commodities and services around the country.